A dance team is a group of dancers who are ready as well as desire to bring a high level of commitment to dance, engagement in time at the studio, and participation on a team. It is a group of dancers that work very hard individually and as a team to execute difficult choreography and dance technique. Being on a dance team helps a dancer to reach new heights in technique and performance. They begin to approach their dance education with new goals of excellence. It changes the mind set from “I dance as a hobby” to “I am a dancer”. As a member of the team, opportunities to perform in the community as well as compete will be available. What are the dance team commitments? Mayama will be closed the month of July. Yay Summer Break!!! 1. A minimum of 2 technique classes, ballet, and Dance Team Production (4 classes total). Competition choreography classes will continue in the fall and winter months and are 1/2 hour classes except for Production which is a full hour. Dancers must be enrolled in the technique of their competition pieces throughout the entire year. Two years of previous dance classes taken at Mayama or another dance studio. Previously participated in a minimum of 2 live performances. Willing to make the year long commitment to dance team. Signed permission slip to audition. Dance Team Permission Slip. One year commitment to the dance team. Extra weekend rehearsal times as needed. Attendance to one professional show in either theater, dance, or a musical or an organized Hip Hop or Break Dancing event or performance. Team field trips may be arranged. Regular attendance in class. It is imperative that you are here for class. Please know that by joining the dance team, this is a higher level of commitment to being at class, not only present but paying attention. Competitions: competition numbers will be by audition and optional upon invitation. We will compete in 2-4 competitions and attend one convention. Based on the dancer’s audition, dancers will be invited to compete in specific numbers. Selections will be made by the choreographer of the number and will be based 70% on the audition and 30% on the history of the dancers attendance, attitude, technique, and drive. If the dancer is selected to compete, this will be an additional dance class with an additional cost. There will also be competition entry fees for each number entered in competition. Fees vary depending on the choreographer. We will set dances in each performance group class and it will be up to the choreographer if that piece gets competed in the spring. Auditions are required for many reasons in the performing arts world. In dance, it is done to show the use of a dancers technique, the dancers ability to learn and perform a choreographed dance piece and to assess how well the individual will take directions and deal with changes while being observed/judged. The above practice also takes place at dance competitions so it’s a great way to introduce students to a process they have yet to experience or give them further practice. The Mayama dance team auditions will be a lot like a dance class except there will be judges in the room watching and recording dancers abilities. The audition will be held at the studio and will consist of all or some Ballet, Jazz and Hip Hop technique. Students do not have to be familiar with all of the techniques. Students do not have to come prepared with a routine of their own. They need to approach it as a class they are going to attend and do their very best! It is only natural to be nervous for an audition. We are not requiring this to cause any of our dancers stress, it is simply an industry standard and this is a competition and performance team. We would be doing them all a disservice to execute the process in a cushioned manner. This may be their first audition but if they continue to pursue any performing art throughout their childhood or adulthood this will not be their last. All audition material taught will be age appropriate. The goal of the teachers and judges will be to create a healthy fun environment for the dancers. We want to see them do their best and succeed! There is a one time annual fee of $125 to join the dance team. This fee is to cover extra rehearsal and administrative costs of the team. Competition fees range from $45-$65 per piece depending on the type of number entered. There is an additional $20 per student studio fee per competition. Convention fees in 2019 were $180 per dancer, plus hotel room and food costs of $135. Costume Fees range from $85-$95 per dance class. Fundraising is highly recommended. It will be up to the dance team parents to form a fundraising committee and organize fundraising if the interest is there. Last year, dancers earned $85-150 through fundraising that applied directly to their dance team fees. 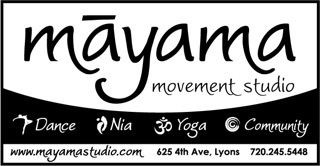 If you have any questions regarding Defined Motion please feel free to contact Mayama's Artistic Dance Director, Ali Kishiyama, ali@mayamastudio.com.